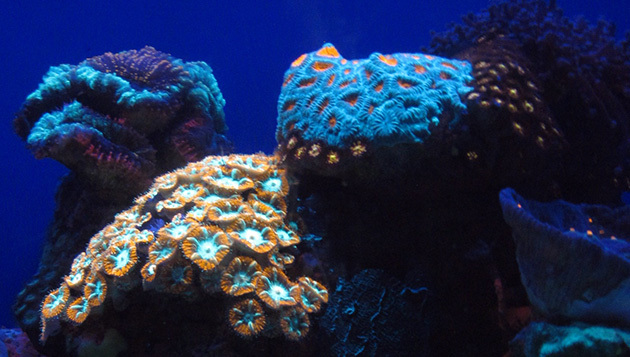 Fluorescent orange, red, green, and yellow corals found deep in the Red Sea were a flashy surprise for BIOS researcher Tim Noyes and colleagues during a recent international workshop held in Israel. Read more at Nature.com. 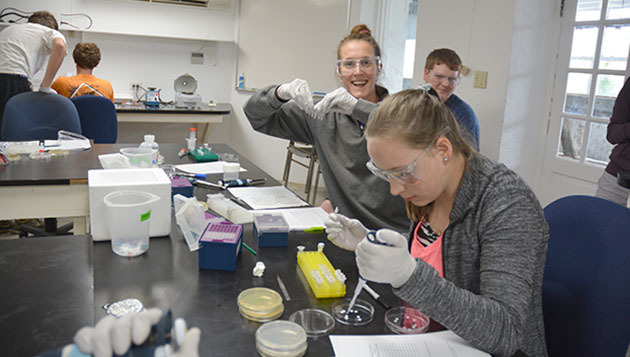 Last month 13 pre-medical and health students from Furman University traveled to BIOS to spend three weeks delving into marine science for human good. 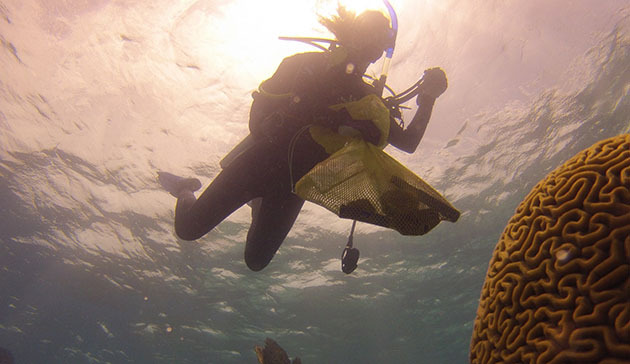 The Bermuda Program, designed for high school and college students, began in 1976 as a way to encourage Bermudian students to consider careers in marine, atmospheric, and oceanographic sciences. 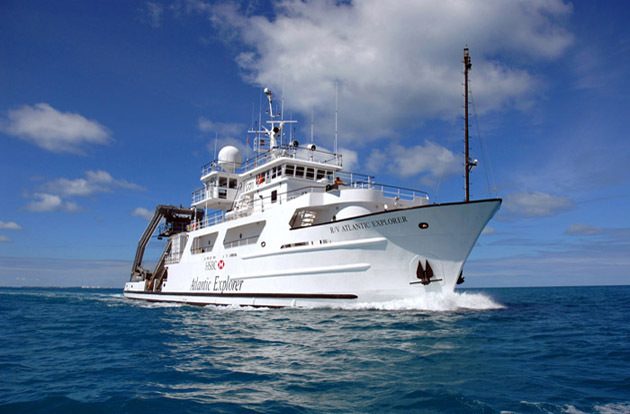 Ten years on, the R/V Atlantic Explorer has sailed tens of thousands of miles on behalf of BIOS scientists and hundreds of other researchers worldwide for science work and marine education initiatives. 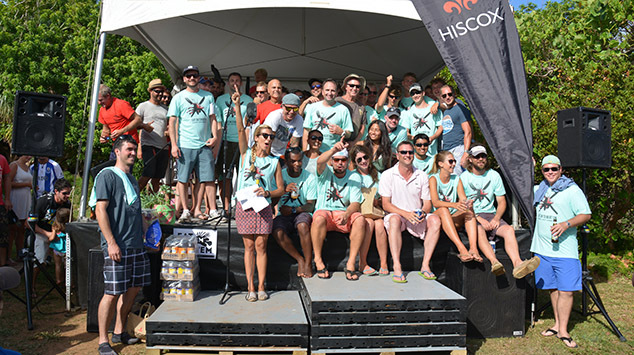 “Eat Em to Beat Em” on July 18th at BIOS calls attention to troublesome marine species. 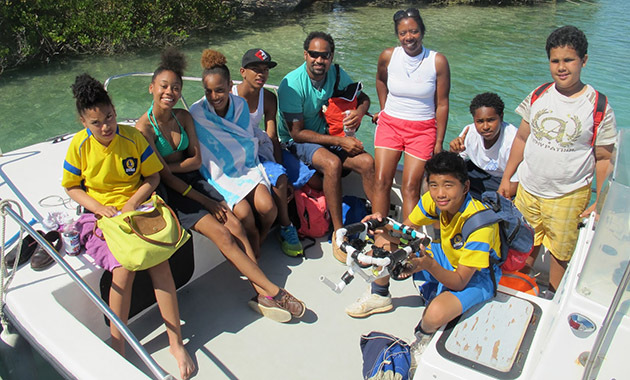 Last week, seven enthusiastic Clearwater Middle School students and two teachers got an experience of a lifetime when they headed to North Rock with BIOS to snorkel and operate their Remotely Operated Vehicle (ROV) in the ocean.